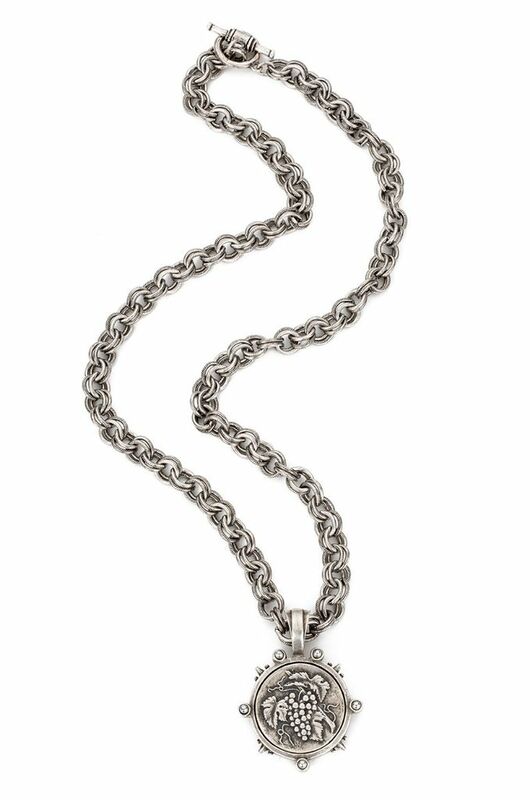 This necklace features 32” of Provence chain, our exclusive FK Spiked bezel and A. Zeller medallion. Absolutely beautiful all by itself or layered with our other designs. 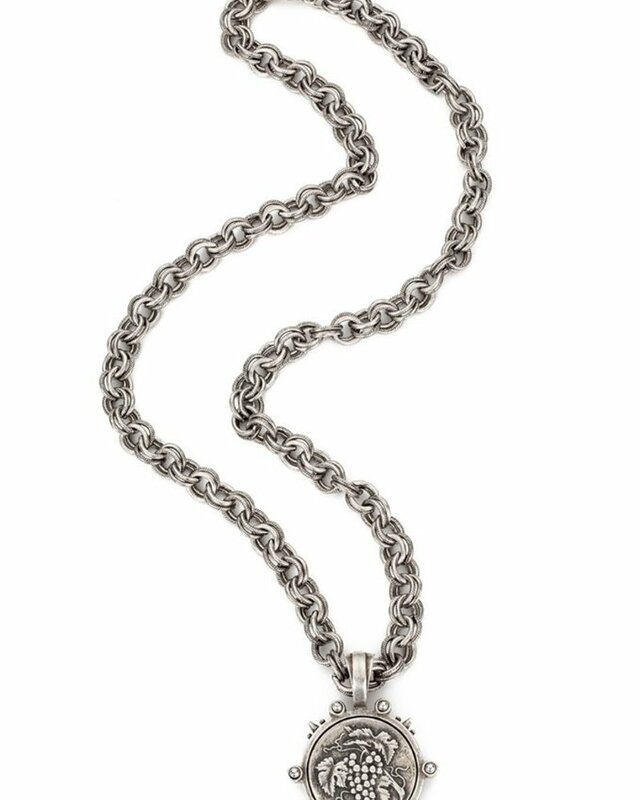 • Strand Length: Long, 32” • Sterling Silver Plated • Cabochon Color: Silver • Each piece of French Kande is handmade in our Los Angeles studio by Californian artisans.